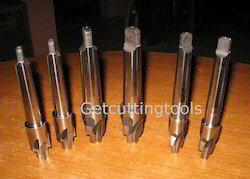 Pioneers in the industry, we offer form tool, hss form relieved cutter, hss port form cutter, form milling cutters, hydraulic fitting form tool and multi spindle automat form cutter from India. We are an acclaimed name engaged in offering our precious clients a superior quality range of Form Tool. Used in different industries, this cutter is manufactured using optimum grade raw material and sophisticated technology in synchronization with industry standards. In order to ensure quality, the entire range of cutter is rigorously tested on various parameters by our quality controllers. 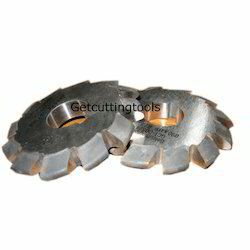 Keeping in mind the diverse requirements of our clients, we provide this cutter in various sizes and specifications. We feel immensely pleased to offer an exclusive gamut of HSS Form Relieved Cutter at cost effective price. Our offered cutter is manufactured utilizing optimum quality raw material and advanced technology by our skilled professionals. In order to ensure quality, the offered cutter is rigorously tested on various parameters. Apart from this, we provide the entire range of cutter in various sizes and designs, as per the requirement of our prestigious clients. Being a client-centric organization, we are engaged in offering a distinct collection of HSS Port Form Cutter. Our skilled professionals manufacture this cutter using well-tested raw material and sophisticated technology. In addition to this, our offered cutter is rigorously tested by our quality controllers against diverse parameters in order to deliver a defect-free range at clients end. Moreover, the offered cutter is extensively appreciated by our clients for featuring variegated attributes like optimum quality and durability. 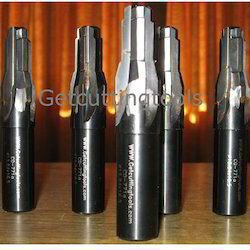 Our organization is involved in offering an extensive range of Form Milling Cutters, which is specifically designed for milling special profiles. 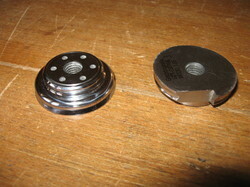 These are available in specific finishes like convex, concave, corner rounding cutters and others. Further, our range can also be custom designed as per the specific requirements of our clients. To furnish the diverse requirements of our clients in the best possible manner we are involved in offering an extensive range of Multi Spindle Automat Form Cutter. To furnish the diverse requirements of our clients in the best possible manner we are involved in offering an extensive range of Port Cutter. 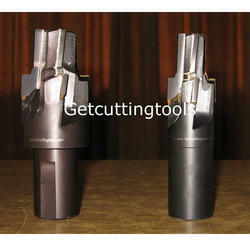 Our tools are manufactured in HSS M35 or M42 grade. 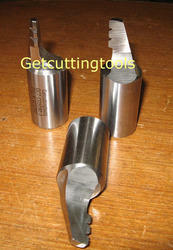 These tools are used on multi spindle automats, cnc machines, cnc bar feed machines to generate any complex profiles on the component in a single plunge. 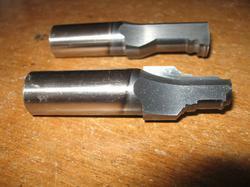 The tools are designed as per customers requirements. All the profiles are maintained in 10 microns accuracy.